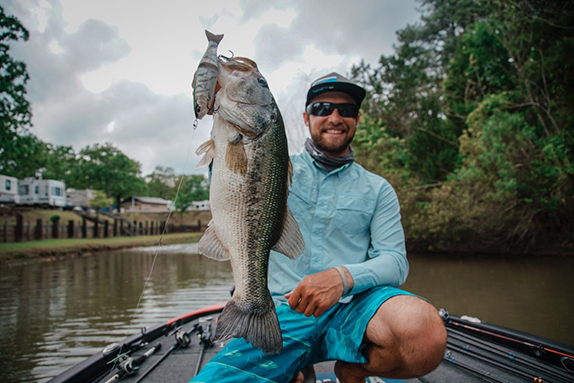 Dave Lefebre is, hands down, the best bass fisherman I�ve ever been in a boat with. While that doesn�t always equate to the a room full of trophies, Lefebre was always a force to be reckoned with while competing on the FLW Tour. Multiple wins, routinely near the top of the Angler of the Year standings; a lock for Cup qualification. As a fan, I looked forward to the day when Lefebre and other FLW hammers switched tours. Perhaps then we could put to rest this notion that one professional fishing circuit has stiffer competition or better anglers. But, while Brett Hite and other former Tour sticks immediately established themselves in their new home, Lefebre slipped a bit. His rookie season of 2016 went about as planned. �My goal was to not get flustered, not show off, blend in and make the Classic. And I did that,� Lefebre said. I called Lefebre to get his take. Admittedly, I was a bit nervous to ask a guy exactly why he was �underperforming,� so I let him do most of the talking. And, though I never would have guessed it while scribbling eight pages of notes, somehow I might have an answer. For starters, we talked about his initial year; if the big switch lived up to the hype. �All the reasons I switched had more impact than I thought,� Lefebre reasoned. Without question, the Elite format without co-anglers was most notable: �It was like a football coach saying (play) offense, you don�t need defense anymore.� Lefebre reasoned that he could more readily utilize big-fish techniques without fear of his boat-mate picking off mid-grade fish. Lefebre also reasoned that the speed of everything is heightened on the Elite tour, as there�s no off-day immediately prior to competition, as in FLW. �If you need time to prepare tackle, you literally have to take away from practice,� he said. Our conversation moved to the 2017 season. �This year is pretty much devastation.� Lefebre sounded more matter-of-fact than distraught - like a reporter covering an accident scene, rather than the victim of the crash. We went tournament-by-tournament. Midway through the season, Lefebre found himself in the top 5 of the standings, with a legitimate shot at Angler of the Year. The Elite tour was traveling to Lake Dardanelle, then headed for a northern swing. Things couldn�t have been better. He was feeling no pressure. In fact, Lefebre was looking at the northern trip like going fun-fishing: �I wanted to go north and fish for largemouth,� he admitted, rather than being bothered by offshore smallmouth tactics. After finishing 86th at Dardanelle, Lefebre grabbed a check at the St. Lawrence, but then bombed at Champlain and St. Clair � two venues where he�s won or threatened to on nearly every visit. At Lake Champlain, Lefebre was up to his usual routine � targeting shallow largemouths in a different time zone. 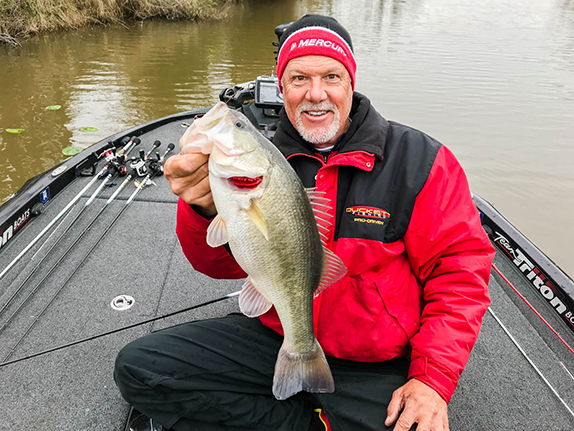 Practice had gone well, but on the first competition day, Lefebre found himself covered up by local anglers practicing for an unheard-of Friday tournament. Things went downhill quickly, and got worse. At St. Clair, Lefebre was stricken by the curse nearly every veteran smallmouth angler has faced at least once: fish after fish coming off the hook, almost in turn, for no apparent reason. At season�s end, Lefebre found himself in the Classic Bracket event, trying to stay alive in his bid to make the post-season. Again, a single lost fish late in the event crushed his dreams. 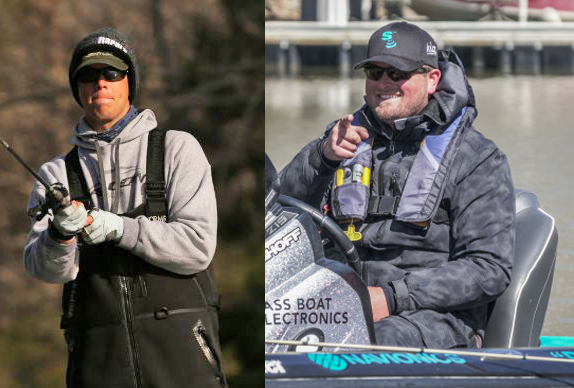 After reviewing video footage of the event, Lefebre easily identified the cause: an errant, rushed cast to a boat dock, resulting in a bad angle for the hookset. �I felt like I kinda lost touch,� he surmised. Perhaps he�s star-struck, I thought. Maybe, with all the hype about fishing with the big boys, the normally unshakable Lefebre was now unable to see clearly and make a proper cast under a dock. Maybe his confidence was shot; these guys were too good. So what now? Will the curse be lifted; will the mighty Lefebre bounce back? For now, Lefebre is determined to try. With his latest serving of humble pie, along came a realization that, perhaps, he had set his fishing on cruise-control. Now he�s determined to focus, and view the 2017 season as the event that jumpstarted his career. His competitors would be wise to take note.